A new diner has opened for business on the first floor of the historic Lawrence House building. The new addition to Uptown, called 3 Squares Diner, is located at 1020 W. Lawrence Ave. Led by chef and co-owner Ian Voakes, who is also the head chef at Logan Square's popular brunch spot Jam, the new establishment is serving American comfort food while offering its own twist on diner classics, per its website. 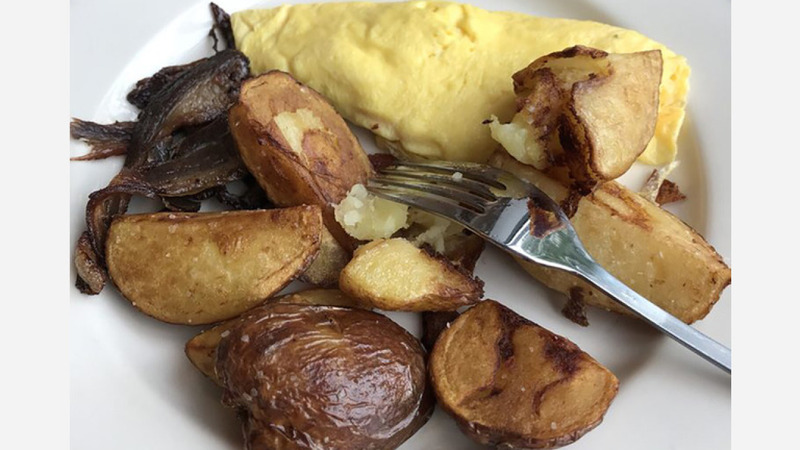 Expect menu options like French toast with coffee anglaise, buttermilk pancakes, chicken and a sourdough waffle, and biscuits with ginger coconut mushroom gravy for breakfast. Lunch additions include a burger, duck potpie and a Cubano sandwich with pork, fennel and black beans. Thirsty? Pair your fare with a chocolate peanut butter, lemon ginger or vegan shake. With a five-star rating out of six reviews on Yelp so far, the new diner is on its way to developing a local fan base. Stuart B., who reviewed the new spot on June 8, wrote, "I went to 3 Squares on opening morning and it did not disappoint. I expected great things from the proprietors of Jam, and everything that we ordered (I had my kids with me) was great." Yelper Vernon M. added, "Everyone there was really friendly and smiling. This place truly has a cozy, diner feel. I came here because I live in the building but also to try out their Michelin-approved brunch." Swing on by to take a peek for yourself: 3 Squares Diner is open from 7 a.m.-9 p.m. daily.